There is a dizzying array of CMS (content management systems) out there and new ones, all claiming to be radically “different” and “innovative”, are popping up constantly. Over the years, our team have tried most of them for various web design projects and two of the finest in our opinion are WordPress CMS and HubSpot COS (which is technically not a CMS but behaves very much like one -we we’ll elaborate below). In this article we’re going to briefly explain what WordPress CMS and HubSpot COS are, for those unaware. We’re then going to swiftly move onto explain the pros and cons of both platforms across several key categories; ease of use, cost, security, SEO and community/support to help you make your decision with regards to which platform to go with when planning a website project. WordPress is a free and open-source CMS (content management system) which was initially released in 2003. If you’ve used the internet for even a couple of hours in your life, then you have almost certainly come across a site or two using WordPress CMS. How can we be so confident of that? Well, approximately 60 million sites use WordPress CMS including 30.6% of the top 10 million sites. It’s by far the most popular CMS and continues to surge in popularity with every passing year. HubSpot COS is the new kid on the block, well, compared to WordPress CMS. It was built and released by renowned inbound marketing software company HubSpot. The key thing that differentiates HubSpot COS from WordPress CMS is that whereas WordPress focuses mostly on the editing and publishing of content, HubSpot COS does this but also has “content optimisation” as a principle focus. Content optimisation includes mobile optimisation, granular personalisation and SEO. HubSpot COS has multiple advanced marketing and lead generation tools built in, whereas WordPress CMS is a barebones platform that you can add additional things to by way of plugins and themes. WordPress was not always so easy to use, but very recently, the interface has become a lot more streamlined and user-friendly thanks to the new Calypso system. With Calypso, someone completely unfamiliar with WordPress can watch a ten-minute tutorial and start adding, editing and publishing their own content quite easily. The heavy lifting of the site design is handled by WordPress themes, of which there are tens of thousands, some free and some paid. However, the ease of use of themes varies greatly depending on how well the theme publisher has designed the theme interface and how much documentation they provide. As WordPress is open source there is no set way of doing most things, which often detracts from the ease of use for a new user. We would argue that the HubSpot COS is slightly more user-friendly right out of the box as it doesn’t have to battle with the legacy code and architecture WordPress does so was free to design the system from scratch in the most user-friendly way possible. One of the key things that makes HubSpot COS more user friendly is the fact that it uses a much more intuitive WYSIWYG front end editor as standard, enabling the user to directly manipulate content as they see it on the screen. Further, a lot of powerful and complex elements such as mobile optimisation and SEO optimisation are taken care of by HubSpot COS and are introduced to the user in an easy to understand and digestible way, whereas these are often complex add- ons in WordPress. WordPress CMS has countless robust, easy to use and incredibly powerful SEO plugins available for it, such as Yoast and Jetpack. However, these tools don’t come as standard with WordPress, you have to download them separately. But there are two distinct benefits of being able to use third party SEO plugins. Power and flexibility. As WordPress is open source, you are free to make very granular changes to the SEO of your website using these powerful plugins. Further, as WordPress can be hosted on any server, you have much more control over the speed of your site, which is important as site speed has recently become a critical SEO ranking factor on desktop and mobile. HubSpot COS has a feature rich and intuitive SEO tool built in as standard. This tool ensures that all of your content is SEO optimised to the latest industry standards. Further, HubSpot provides clear documentation to enable you to get the most out of the tool. However, unlike WordPress, which is open source and has countless SEO plugins, with HubSpot COS you are tied to HubSpot’s way of doing onsite SEO and are limited to their built-in tool. This may not be too much of a problem at the moment, but if in the future HubSpot falls behind the SEO times, then your site could suffer. Basic package fee – $200 a month + $600 one off onboarding fee + $100 per month for the “website starter” for up to 3000 sessions per month, which includes HubSpot COS.
WordPress CMS is absolutely free. However, if you want to host your website (assuming it’s less than 100 pages and doesn’t get thousands of visits a day) it will cost you at least $10-$15 per month for decent hosting. Email marketing will cost you extra, a decent SEO plugin will cost you extra, social media analytics, will, you guessed it, cost you extra. Of course, there are free versions of the above, however, to get something comparable to what HubSpot COS provides out of the box, you will have to look towards paid plugins. All of these add-ons are included with HubSpot COS at no extra cost. However, even after you add the cost of the hosting and premium plugins to increase functionality, you can still get a WordPress website with most of the features of HubSpot COS at a considerably lower cost than HubSpot COS. This is because with WordPress there are lots of competing companies offering similar plugins for things like social media analytics and SEO – so you can shop around and cut costs. HubSpot is a large, successful, public company that invests heavily in security. The security section of their website states that “availability is consistently above 99.99%”, and that “customer data is 100% backed up to multiple online replicas with additional snapshots and other backups”. Additionally, session data is protected by “advanced TLS (1.0, 1.1, and 1.2) protocols, and 2,048-bit keys”. However, despite this, it can’t be understated that HubSpot COS is still built on a proprietary closed system so only HubSpot have access to the code, which means there is one point of weakness. Conversely, WordPress is open source and the codebase is public. Some may assume that this would make WordPress CMS less secure, but, as was explained in detail by Infoworld, this could not be further from the truth. As WordPress CMS is an open system, with tens of millions of contributors worldwide, there is a better chance of a vulnerability not only being detected quickly but also repaired quickly too. 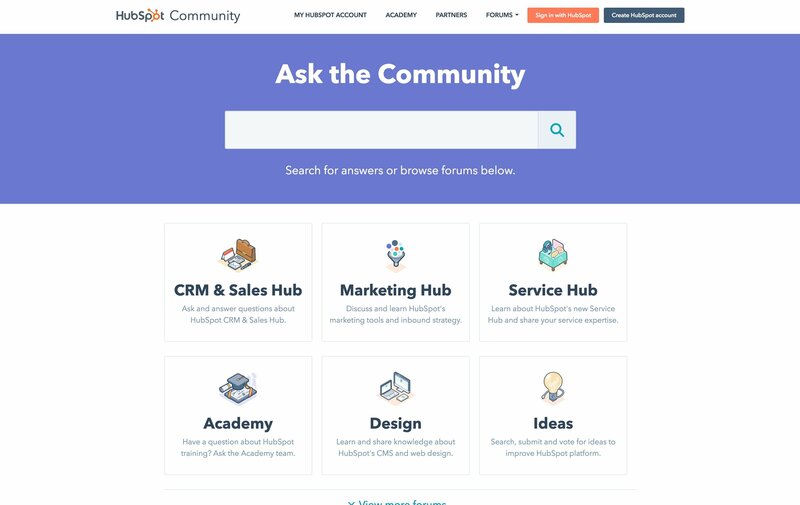 HubSpot has a vibrant and active official support community which can be found here, and it’s not uncommon for you to have your questions answered within a couple of hours. There are also tons of well written docs, detailed video training and of course, the famous HubSpot Academy, that can lead to you obtaining the coveted HubSpot Certification. And it’s not all online, there are more and more real life HubSpot user group sessions popping up all over the world where you can learn from HubSpot employees and experts as well as network and share ideas with other HubSpot users. We would go as far as to say that HubSpot provides the most impressive support and community system of any private SaaS company. Now we come to WordPress. 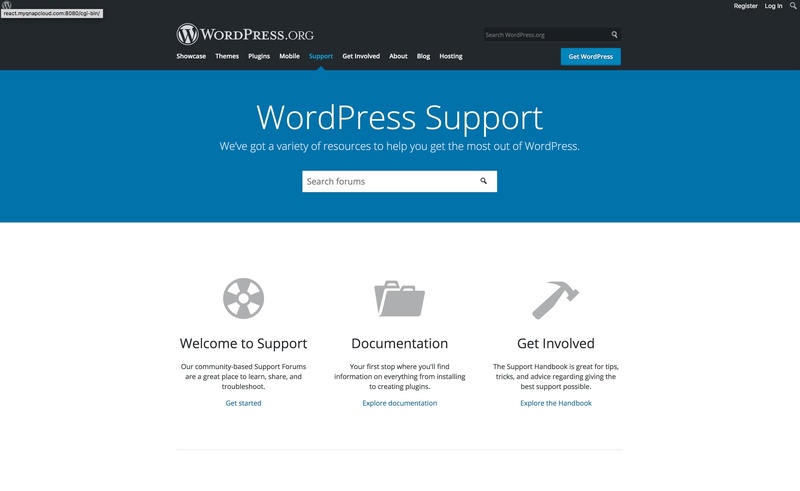 There is of course the official WordPress support forum, but there are also third party support forums like the WordPress StackExchange if you have a bit of money to spare, then WPMUDEV provide 24/7 live WordPress support. Additionally, there are countless in-person meetups all over the world, if you prefer some real-life interaction. Where WordPress really stands out, however, is the breadth of the support. Each major WordPress plugin and theme has its own bustling support network. An illustrative example is Avada theme support which is a WordPress theme that has extensive documentation, video tutorials, a community forum and a lively Facebook group. Both HubSpot COS and WordPress CMS have their unique strengths and weaknesses and are aimed at different target consumers. WordPress CMS has the benefit of true flexibility – there are an almost infinite number of themes and plugins out there from simple image slider plugins to those that turn your WordPress site into a fully-fledged social network. But the amazing flexibility brings with it greater risk for vulnerabilities and a greater number of malicious actors which weakens its overall security profile. HubSpot COS on the other hand may not have the immense flexibility that WordPress CMS does, but, unlike WordPress CMS, it comes with a set of refined, polished and well-functioning advanced features straight out of the box which cover everything from social media management to onsite SEO optimisation. No scrambling to find working plugins here. The less flexible nature of HubSpot COS also contributes to it having better security overall, when compared to WordPress CMS. If you are looking for a complete package, straight out of the box, that is geared to marketing and driving sales and/or sign-ups for your business then HubSpot COS is the obvious choice. However, if you want a more cost effective, open, barebones system that is infinitely expandable, but one that you will have to dedicate the time and effort to expand, then we would say WordPress CMS might be the better option. Both systems are equally brilliant, but what it ultimately comes to down to are your needs, time availability and budget.